The Romans withdrew from Britain in the fourth century AD and Lancashire returned to the control of a now Romanised British tribe, the Cumbrii who spoke a Celtic dialect akin to the Welsh language. During the fifth and sixth centuries there was increased Germanic occupation and eventually their lifestyle and language came to predominate throughout England. After the Norman conquest in 1066 the Fylde and its surroundings, like South Lancashire, came under the control of a single tenant in chief called Roger of Poitou. It is fascinating to note that according to the Domesday Book of 1086 the entire area was almost completely devoid of resources and population - only Preston and its surroundings were on record as having anyone living there at all - and judging from the records these appear to have been extremely sparsely populated. The Fylde coast lay in the Hundred of Amounderness, which was first mentioned in 661. A Hundred consisted of a hundred rouds of cultivable land (a roud was equal to one and a half square miles), and they were the main administrative divisions of counties; also being used for military and judicial purposes. The system was introduced by the Saxons between the seventh and eleventh centuries and a Hundred was considered to be sufficient land to support a hundred households. It would be under the leadership of a hundred-man or hundred-eolder responsible for justice, administration, and raising and leading military forces; and for keeping the land clear of brigands and bandits. Hundreds were grouped into shires controlled by the shire-reeve or sheriff. Amounderness was one of six Hundreds which together made up the historic county of Lancashire. At the time of the Norman Conquest in 1066 Lancashire had yet to achieve County status, and indeed would not become a county until early in the twelfth century. In the Domesday Book reference is made to Amounderness which is thought to derive from Agmund, a Viking lord of the region. As in the rest of Britain the various inhabitants of the Fylde and Lancashire generally have left their legacies in the place names they have bequeathed to us. For example Celtic influences are evidenced by names ending in teth or cheth, which derive from the old Welsh "coed" meaning a forest or large wood - Toxteth, Culcheth for instance. The Anglo-Saxons gave us names such as "Eccles", indicating a church; "burghs" and "burys" (fortified settlements), which is the origin of the name "borough", and thus we have places such as Bury, Didsbury, and Pendlebury (this suggesting a fort on a hill). The effects of Viking settlements are also reflected in our place names - the suffixes "by", "dale, "Kirk" (the latter being old Norse for Church), are the provenance of Formby, Birkdale, Kirkham, Ormskirk , and many other places. The suffixes "scale" and "side" (e.g. Windscale, Ambleside) derive from the Norse for grazing land, and endings in thwaite mean a clearing in a wood. The evolution of Blackpool as a holiday resort has depended greatly on developments in communications. For hundreds of years Blackpool was little more than a quiet sleepy seaside village until the 1700’s when it became the fashion among the comfortably off for going to the seaside as a means of promoting good health – and even then visitors were relatively few in number. It is interesting to reflect on the fact that in those early days trips to the sea were primarily for health purposes rather than recreation. 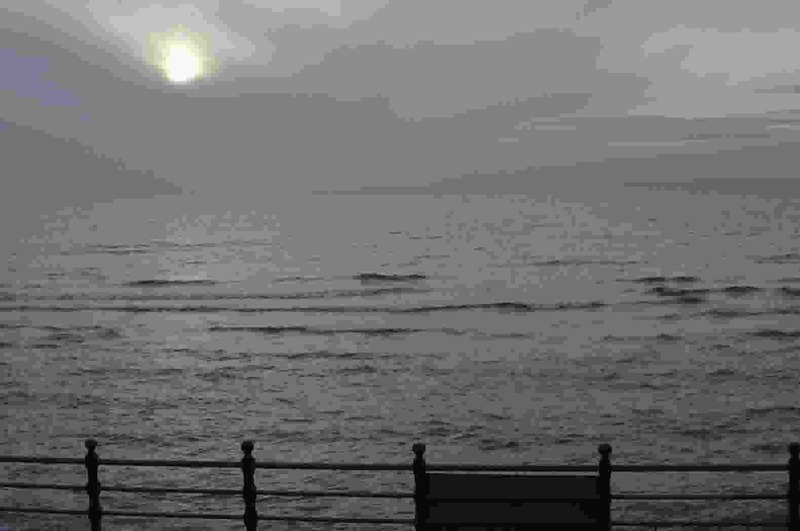 A major obstacle to the expansion of Blackpool as a holiday resort was its inaccessibility. In 1781 a road was constructed enabling visitors to arrive by stagecoach, making the resort more easy to get to, but despite this the journey could still be long and uncomfortable - it could take an entire day to reach Blackpool from some of the Lancashire mill towns, and a full two days to reach from Yorkshire. At this point in the history of Blackpool there wasn't a great deal of entertainment available for holiday makers to do in the resort. Rich visitors rode along the beach on horseback or in carriages, and the poorer people walked. The grass covered promenade was two hundred yards long by six yards wide and was also used for walking. There was a theatre of sorts, an archery stall and bowling greens. People would bathe in the sea and also drink the seawater. Men were required to leave the beach when it was time for ladies to bathe and any gentleman found not to have done so at this time would be fined a bottle of wine. Things were to change however with the advent of the railways. From 1840 onwards railways were constructed connecting Blackpool and the surrounding areas with the industrial towns of the North of England and their large urban populations. The history of this railway is a fascinating one in its own right, as it was originally intended to service Fleetwood, which is sited to the North of Blackpool, and has a great many natural advantages - it lies on a river mouth with spectacular views across Morecambe bay, it has golden sands, fresh sea air and a sheltered harbour. These were sound reasons for thinking that the location could become a thriving sea port and holiday resort, and these were the aims of Peter Hesketh, founder of Fleetwood, who wished to make the town into a major commercial centre. The thing that was missing was a railway link to the large populations of industrial Lancashire. Peter Hesketh was the owner of Rossall estate, Lord of the manor and the High Sheriff of Lancashire. He would subsequently be knighted and granted a Royal License to change his name to Sir Peter Hesketh Fleetwood. He had a strong determination to make a success of Fleetwood and he commissioned the prolific architect Decimus Burton to design the town. Fleetwood grew rapidly with boarding houses, shops, church school, and the North Euston Hotel (In those days the North Euston charged four shillings a night for a bedroom and two shillings for breakfast - a lot of money at that time). In Whit Week 1844 there were over 60,000 visitors. The holiday makers were brought to Fleetwood by the Preston and Fylde Railway and the resort was booming. But the development of Fleetwood never came to full fruition due to shortage of finance , and the railway came close to collapse and was primarily rescued by cheap excursions from urban lancashire a great many of whose passengers disembarked at Poulton station and travelled to Blackpool by horse drawn transport. Perhaps this was a defining moment in Blackpool History - had things gone according to plan then it is fair to assume that Fleetwood could have become the bustling holiday capital and Blackpool remained in comparative obscurity. Fleetwood went on to become a successful seaport and a major fishing centre. When Talbot Road station opened in 1846 the railway arrived in Blackpool itself and the Holidaymakers came in their thousands, a sudden unanticipated influx of visitors that would provide the motivation for resourceful Blackpool entrepreneurs to create new attractions for these people to enjoy, which in turn drew in more eager visitors, thus setting in motion a benevolent circle of increasing numbers of holiday makers and improving entertainment. This saw a rapid expansion in the number of visitors to the resort. There was also a practice among the mill owners of these towns to close the factories for a period every year to service and repair machinery. These became known as “wakes Weeks”. Again it is interesting to note that these holidays were not principally intended to give the workers a rest but were mainly to service the equipment! Time off work together with cheap and convenient travel led to large numbers of visitors taking their holidays outside the towns they lived in. Each town would have a different wakes week during which almost the entire population would board the trains and decamp to the coastal resorts of Morecambe, Southport, and of course, Blackpool. Another major development came when the post-war Labour government introduced paid annual holidays for all employees, again boosting tourism in the resort. With the fashion for foreign travel the popularity of the British seaside holiday began to decline, but Blackpool maintained its pre-eminence as Europe's premier holiday resort. Decline is relative rather than absolute; many holiday destinations that are generally regarded as flourishing would consider themselves fortunate to have ten million visitors annually. It can be seen that the growth of Blackpool is best understood in the context of conditions in the industrial North of England and with contemporaneous developments in communications. The history of Blackpool has been largely determined by its geographical position in relation to the heavily populated towns and cities of Lancashire, and by the rapid changes in transportation and economic conditions that took place there. 1781 Road constructed to Blackpool, and stagecoaches start to arrive from Manchester. The following year coaches arrive from Yorkshire. 1785 Baylies Hotel (the present day Metropole ) advertises in the Manchester Mercury for visitors, and the following year the Lane Ends Hotel and Bonnies Hotel also advertise. 1800 Blackpool has its first church. The population at this time was under 500, and even fifty years later the population was little more than 2,500. 1817 Blackpool has its first school. 1819 First houses built in South Shore. 1828 The first entertainment theatre constructed - the Grand Promenade. 1852 Gas works built - and the first gas street lighting. 1863 Blackpool North Pier opened, followed in 1968 by Central Pier, and in 1893 by The Victoria Pier, South Shore. The construction of South Pier accompanied other activities in South Shore - notably plans for a 32 acre amusement park which was to become the Pleasure Beach. 1864 Fylde water works opened.- and the first piped water supply introduced. In the same year Blackpool Lifeboat Station is established. 1878 Winter Gardens opened to meet the need for indoor leisure amenities. 1879 Electric Lights turned on - the forerunner of the illuminations. But these consisted of a mere eight arc lamps, described as artificial sunshine. 1885 Beginning of Blackpool tramway system. 1894 This Year sees the opening of Blackpool Tower, the Victoria Hospital, and the Grand Theatre in Church Street; the latter designed by Frank Matcham who would also design the Tower Ballroom. 1900 Blackpool Town Hall opens. 1905 Blackpool gets its first cinema - the Coliseum on Lytham Road where the bus station now stands. 1912 The first Blackpool Illuminations. The Illuminations were discontinued during World War One and did not recommence until 1925. 1923 The construction of South Shore Open Air Baths. 1926 Blackpool Stanley Park opened. It would be 80 years before another park opens in Blackpool - March 2006 - the George Bancroft Memorial Park built as part of the Central Corridor, a major gateway into the town. 1933 Beginning of the air service from Squire's gate to Liverpool and the Isle of Man. 1937 Squire's Gate Holiday Camp opens. 1938 Opening of Talbot Road Bus Station and Car Park. 1939 Opening of Derby Baths at North Shore and the New Opera House. 1953 The famous 'Mathews' FA Cup Final at Wembley, in which Blackpool defeat Bolton Wanderers. 1965 The opening of the Locarno Ballroom and Top Rank Bowl in the new Mecca Building on Central Drive. 1980 Opening of Hounds Hill shopping centre. 1986 The Sandcastle Water Complex built on the site of the old South Shore Baths which had been demolished in 1983. 1990 Opening of Blackpool sea Life Centre. 2006 Work commences on £62 million Sea Defence Wall between South and North Piers. During this period of growth various other significant events occurred. The population of Blackpool increased exponentially in the 150 years after the beginning of the nineteenth century. In 1801 the population was under 500, and fifty years later it was still little more than 2,500. Another thirty years later and the population was nearly 15,000 but by the turn of the twentieth century the population was getting on for 50,000. And by 1951 the population had reached nearly 150,000. 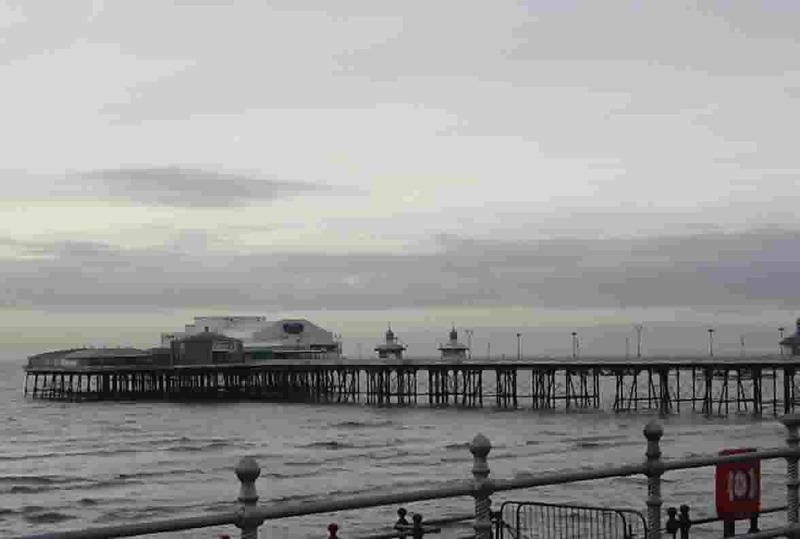 Blackpool also grew in political stature. From being a small sparsely populated village in mediaeval times, the increasing importance was recognized in the Victorian era with the award in 1876 of a Royal Charter with Blackpool becoming a Municipal Borough and having its first Mayor. In 1885 Blackpool was made into parliamentary division and was represented in the House of Commons. From 1894 to 1974 Blackpool was an independent County Borough in the administrative County of Lancashire. However the Local Government Act of 1972 resulted in Blackpool losing its independence and it was incorporated into the Shire County of Lancashire. In 1998 the town regained its autonomy and became an independent unitary authority. The story of Blackpool's emergence as as Europe's most popular holiday resort is a fascinating one. From being a a quiet unassuming backwater on the coast of medieval Lancashire Blackpool grew to become a holiday destination which in its heyday attracted millions of visitors every year, and continues to do so into the twenty-first century. The term Blackpool is a literal one, taking its name from the colour of the water in a brook (“le Pull”) which drained Marton Moss and Marton Mere into the sea near the area that would later become Manchester Square. The stream ran through peat land giving the water a distinctive dark colouring and because of this became known as Blackpool. ( The name Dublin has a similar origin, Dubh Linn being Irish for Black Pool). The town lies on the coast of the Fylde – Saxon for field - which at one time was covered in bogs and forest, making it largely impassable for travelers. In the Iron Age the area that would later become Lancashire was occupied by a loose federation of Celtic tribes called the Brigantes who also dominated much of North Eastern England. The tribe that inhabited the Fylde were the Setantii (some writers talk of the Segantii - "dwellers in the country of water") and according to Ptolemy in his geography of Britain they were the only tribe to have their own port on the western coast of Britain before Roman days. This was Portus Setantiorum and is thought to be located off Rossall point near modern Fleetwood. The Setantii were defeated in AD 71 by the Romans who governed the region from a fort near Kirkham.